Amanda Blake is author of the book Your Body Is Your Brain, and creator of the popular Body = Brain course on the neuroscience of experiential learning. 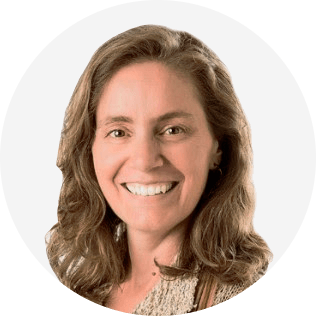 In addition to teaching about the art and science of embodiment, she works with progressive leaders worldwide to help them become their best self, enjoy life more, and make a bigger contribution. Once an internationally competitive athlete, Mandy is skilled at cultivating high performance in herself and others. She is a Master Somatic Leadership Coach and holds a degree in Human Biology from Stanford University. Currently she is pursuing a PhD at Case Western Reserve University, where she is a Research Fellow at the Fowler Center for Business as an Agent of World Benefit. Mandy is a longtime yoga enthusiast, mountaineer, musician, and celebrator of life. When she’s not teaching people how to leverage the links between body, brain, and behavior, you can find her swing dancing with her sweetie to corny country songs, backcountry skiing in the Sierras, or learning cool ninja tricks from her nephews. Right now there’s an explosion of research about the brain and body. But our knowledge of this vast field – not to mention our ability to put it to use – is scant at best. Take practical steps towards better living, stronger leadership, and more effective coaching by turning new research into applied practice. We’ll explore the neurobiology of your gut feelings and learn practical strategies to cultivate intuition in service of your own life and the lives of your clients. Come learn how to build intuitive capabilities that are as reliable and trustworthy as your intellect. 1. Learn practical tools to cultivate intuition. 2. Discover why intuition sometimes leads you astray… and what to do about it. 3. Enhance your work with clients by tapping your own intuition and helping them tap theirs. It’s been been well established that social and emotional intelligence are vital to success and satisfaction in life. But how you do cultivate those elusive personal qualities like resilience, courage, empathy, decisiveness, emotional regulation, and the ability to resolve conflict? The answer: through experiential methods that include and involve the body. Our brains developed to be our social and emotional sense organ, and our brains extend throughout our entire body. Thus, our emotional responses to life, leadership, and social challenges all involve the body. Helping your clients develop the social and emotional intelligence they need to live and lead effectively requires a physical, embodied approach. Take practical steps toward better living, stronger leadership, and more powerful coaching by learning how to turn new mind-body research into applied practice. 1. Explore how and why body, brain, and behavior are inextricably linked. 2. Learn practical tools to cultivate emotional and social intelligence.